Swissport Cairns Airport enjoyed welcoming Air New Zealand’s first Airbus A321neo (new engine option) which touched down on its delivery flight from Airbus’s Hamburg facility. The new aircraft will land in Auckland tonight after a four-day journey via Oman, Kuala Lumpur, and Cairns. 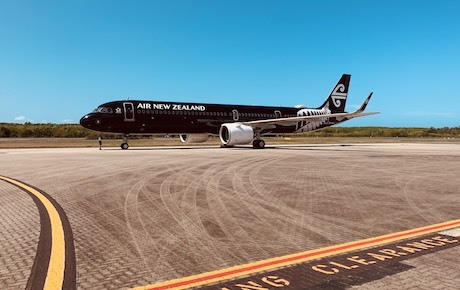 The aircraft, with the tail registration ZK-NNA, is the first of 13 new Airbus neo aircraft to join Air New Zealand’s fleet and is expected to enter commercial service on 23 November operating flight NZ739 from Auckland to Brisbane.